TOKYO, Apr, 16 2019 - (ACN Newswire) - Mitsubishi Heavy Industries Machine Tool Co., Ltd., a group company of Mitsubishi Heavy Industries, Ltd. (MHI) based in Ritto, Shiga Prefecture, has commercialized a metal 3D (three- dimensional) printer applying laser-based metal additive manufacturing technology, and delivery of the first unit was completed in March to the Industrial Research Center of Shiga Prefecture, which is also located in Ritto. 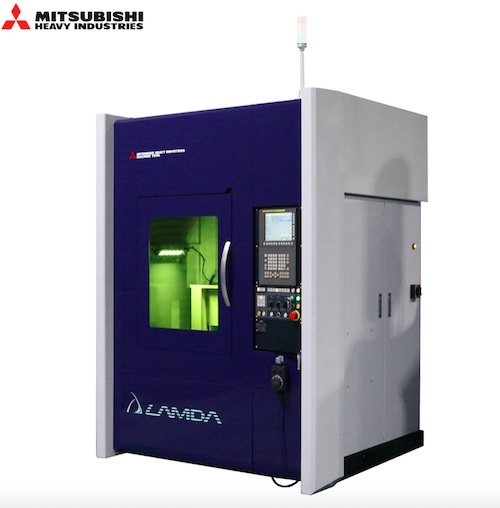 Through adoption of a proprietary Directed Energy Deposition (DED) method(1) in which metal powder material is continuously fed by nozzles to the laser fusing point with pinpoint precision, a commercial model was achieved capable of laminating diverse metal materials at high speed. Going forward, MHI Machine Tool and the Industrial Research Center will collaborate in developing technological innovations relating to metal additive manufacturing.